Beachdowns Loss is our gain!! 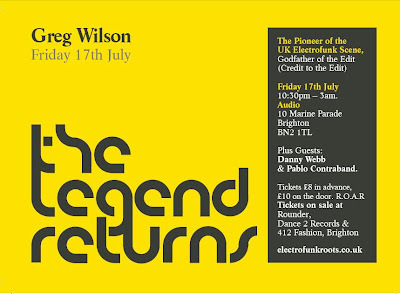 Greg Wilson will still play in Brighton this Bank Holiday Sunday - YAY!! Here's the first hour of Greg Wilson's set @ Disco Deviant at Audio in Brighton. Hope you enjoy it, a slightly fresher selection and not an instant hit with 100% of the audience, but I love it and what came in the final hour was just incredibly inspired! I think we ended up at about 128bpm+ I only regret that it wasn't recorded too!! 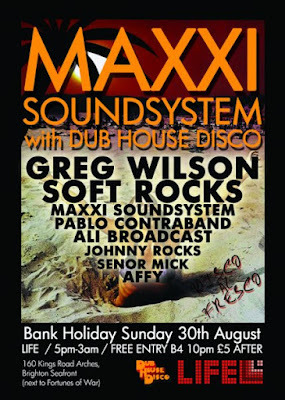 Also on the bill was Pablo Contraband who has a great mix posted below.